Gay Travel Information: Church Landing at Mills Falls & Lago Restaurant – Meredith, NH! 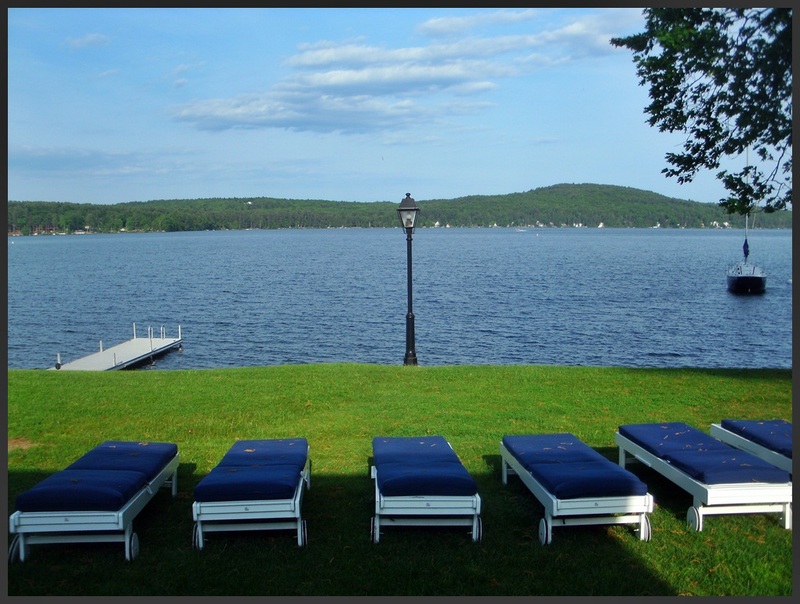 Lake Winnipesaukee’s Most Luxurious Resort! As a travel writer I have been blessed with experiencing some pretty amazing resorts throughout the United States, and this past May I had the absolute pleasure of adding another fantastic resort to the list, Church Landing at Mill Falls in Meredith, NH, on beautiful Lake Winnipesaukee. 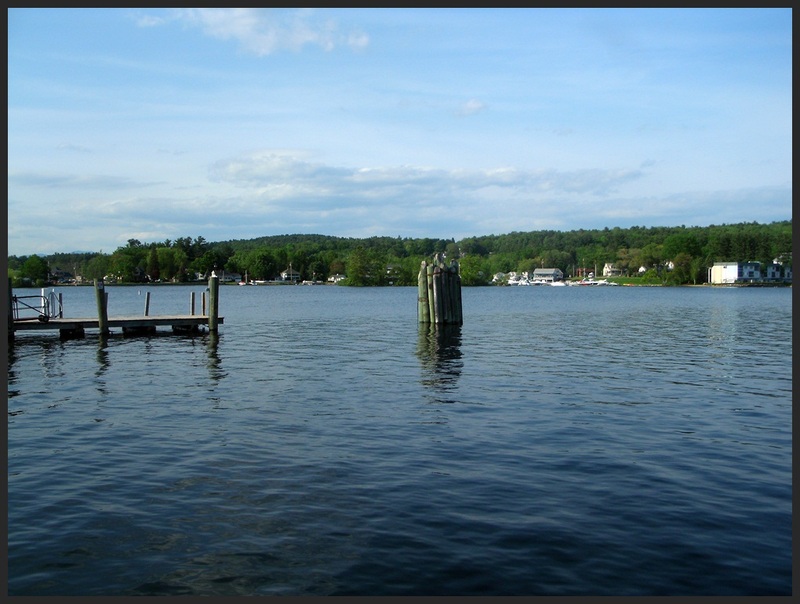 The Inns & Spa at Mill Falls consist of four delightful inns, Church Landing & Bay Point located right on the water, and Mill Falls & Chase House just across the street. 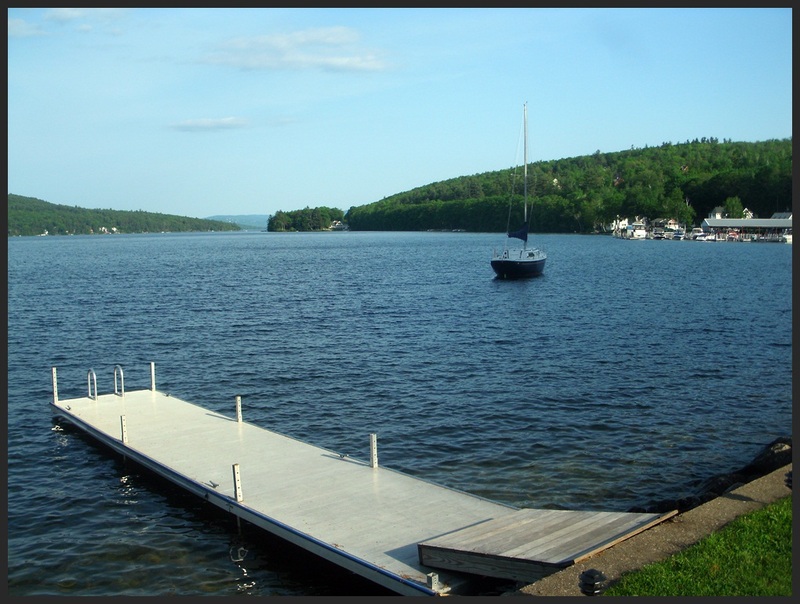 They all share the same breathtaking views of Lake Winnipesaukee and the surrounding mountains. 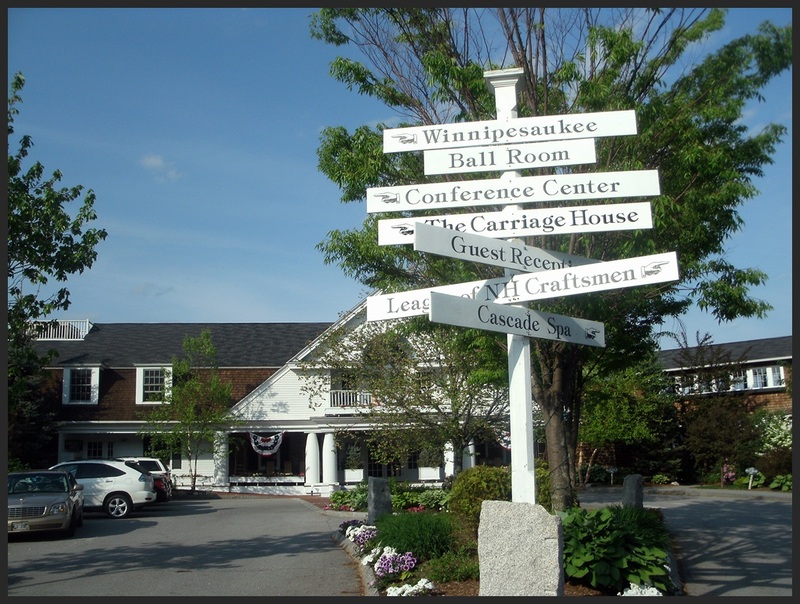 In addition to boasting the finest hotel accommodations in the Lakes Region, the Inns offer the world class Cascade Spa, seven restaurants, numerous shops and eateries along Main Street and twelve boutiques in the Mill Falls Marketplace. 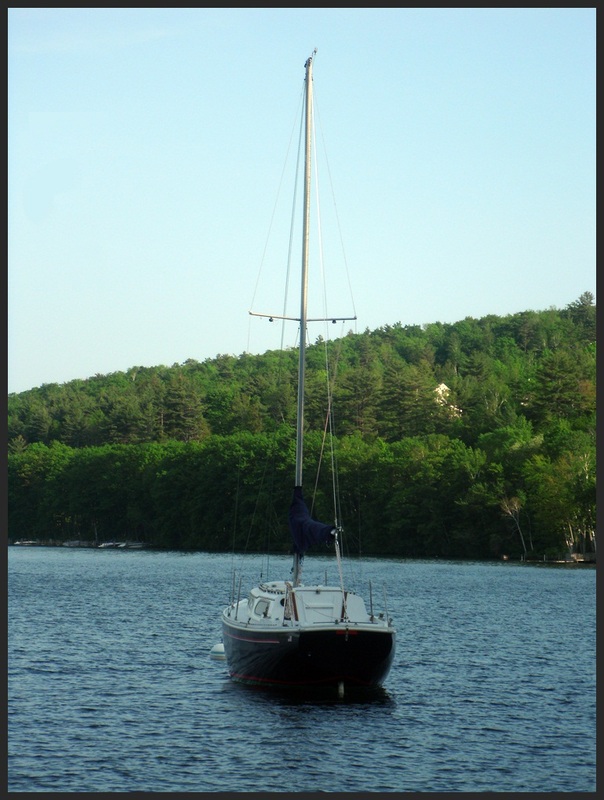 Meredith, NH is a quintessential New England destination! Church Landing impressed me the second I pulled into the parking lot. 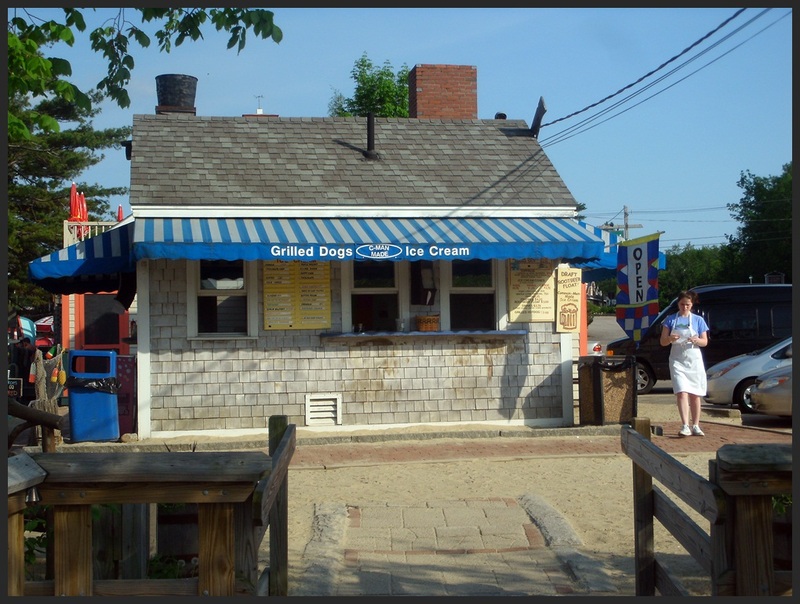 It’s white pillars, lush gardens, rocking chairs & American flags ooze New England charm. In 2003, after St. Charles parish moved to a new facility, the old church was acquired by Mill Falls, and the land in which it sits, one of the most desirable pieces of property on the waterfront. Rather than raze the church they incorporated the structure into its stunning design, a great shingled camp style of the 1880’s. In May 2004, Church Landing celebrated its Grand Opening! Walking in to the Adirondack-style lobby your senses are sent into overload! 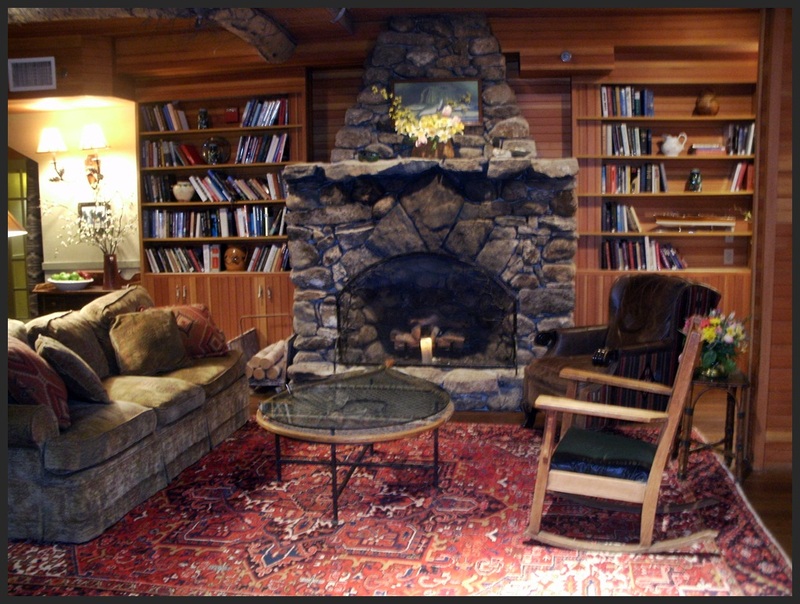 There is a gorgeous stone fireplace that beckons you to sit down, relax and take in the truly rustic surroundings. You will find plenty of comfy sofas, Adirondack style chairs and rockers. I encourage everyone to take time to appreciate the details not only in the lobby, but throughout the entire property. 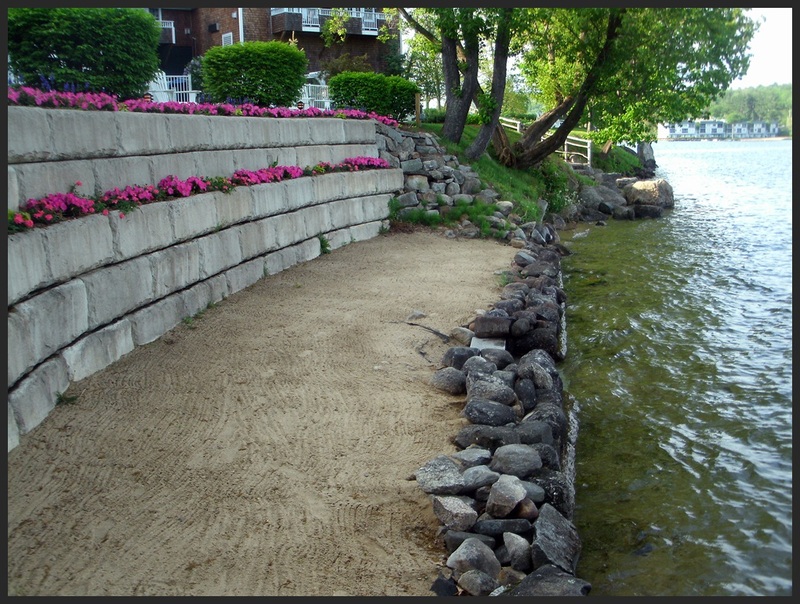 Church Landing offers a sandy beach, an indoor/outdoor pool, a fitness center, the full service Cascade Spa, the Lake house Grille, and a state of the art event center accommodating groups of 10-300. 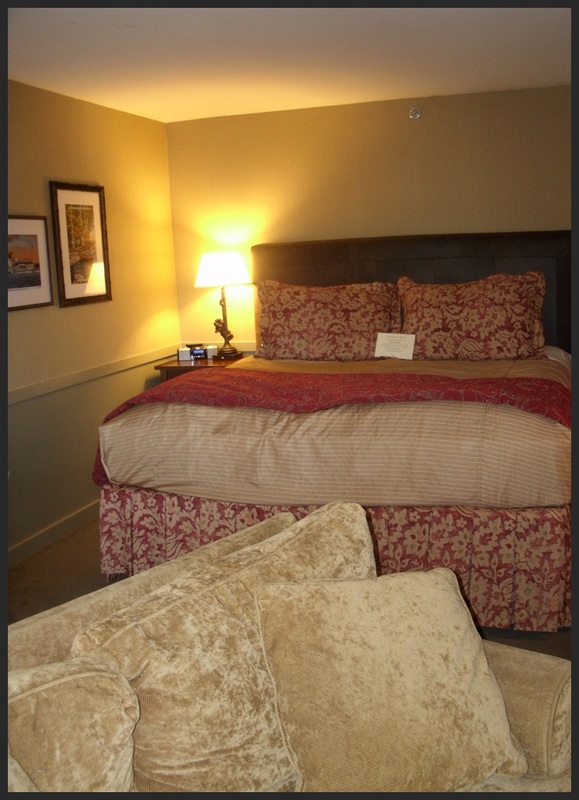 I was impressed by my 2 bedroom guestroom with its private lakefront balcony, fireplace and plush down bedding! My room had a comfortable couch & chair and king size bed in the main area as well as a working desk, balcony and fireplace. The second bedroom also had a small desk, TV and plush king size bed. 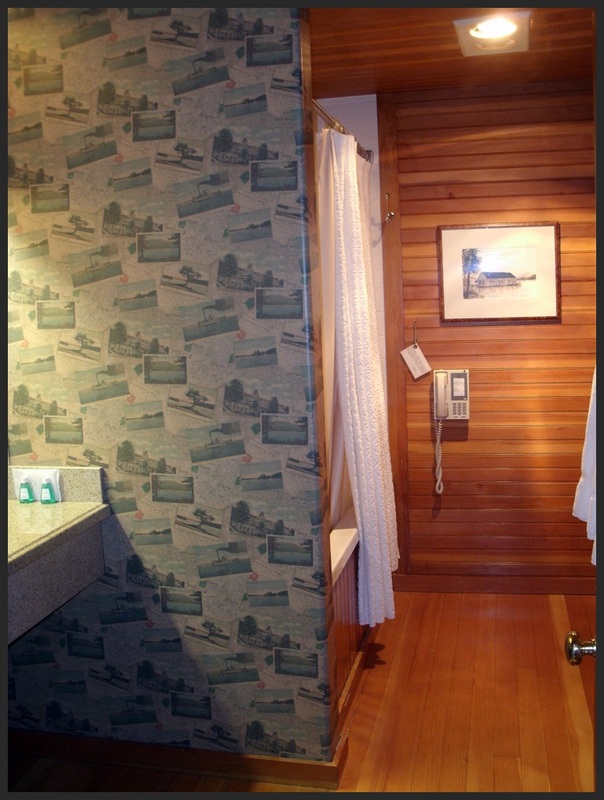 The bathroom was large and offered a jetted tub. The best part was the spectacular view of Lake Winnipesaukee from the balcony! I couldn’t get enough of it. 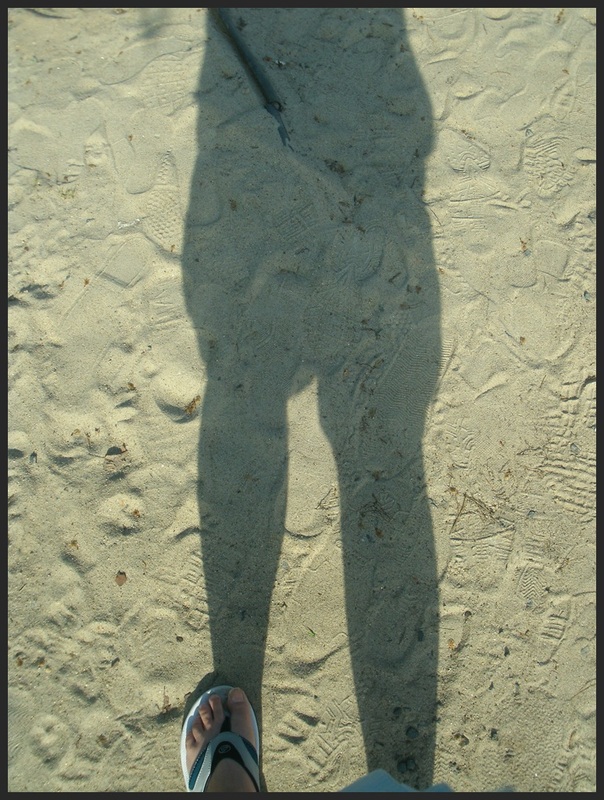 I also had a view of the resort’s small, yet sufficient sandy beach. There were people down by the docks and boats lazing in the water. Gorgeous! All rooms at Church Landing include a coffee maker, hair dryer, A/C, iron & ironing board, refrigerator, complimentary WiFi, Cable TV, free local calls, free parking, and available upon request, children’s pack’n’play and cots. The Cascade Spa & Hair Salon is located on level 2 of the resort. Although I didn’t have the opportunity to indulge in their services myself, what I saw looked fantastic! The spa offers body care treatments, skin care treatments, a mini spa and salon with hair, waxing, makeup and nail services. You can find out more information on the spa HERE. 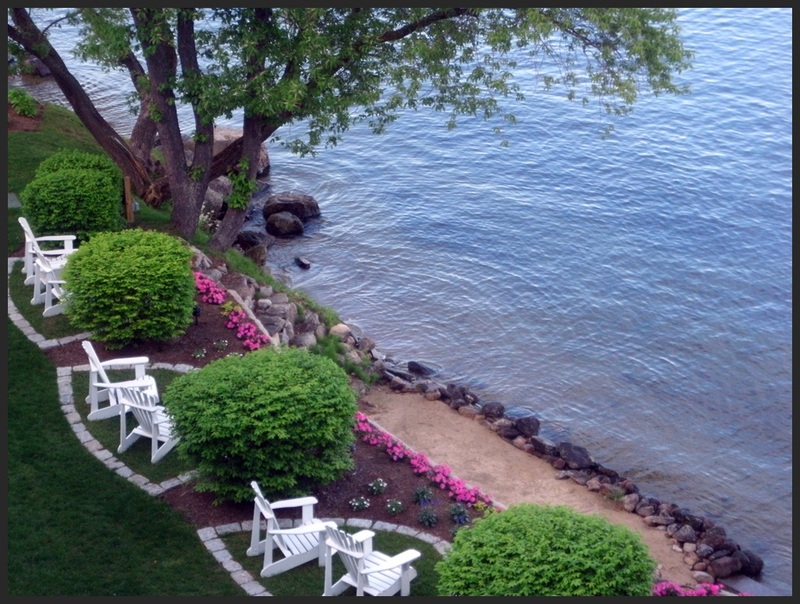 Church Landing has 57 guestrooms and is located directly on the shore of Lake Winnipesaukee. 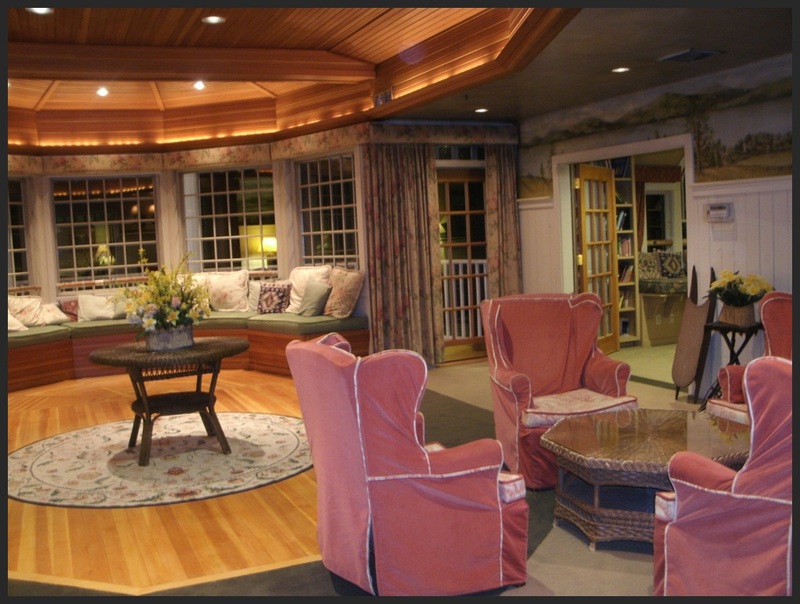 Church Landing is the first property in the state of New Hampshire to offer a Wellness Room! For more information click HERE. All guestrooms offer lake views and a fireplace. Most rooms also feature a balcony or patio. There are two pet friendly guestrooms at Church Landing (please make reservations in advance for these accommodations). An additional fee of $25 per pet, per night is charged. $10 of this fee is donated to the NH Humane Society (maximum of two pets per room). Speciality rooms with whirlpool baths and suites are available. There is a comfortable common area with a public access computer. Complimentary WiFi is available in all guestrooms, public spaces both indoors and out, and in all conference facilities. Church Landing offers and indoor/outdoor pool, 2 Jacuzzi tubs and a fitness center. All inn guests are welcome to use the pools at either Mill Falls or Church Landing as well as the fitness room at Church Landing, open 8am-11pm daily. Complimentary 24 hour coffee/tea service is available in the lobby. Church Landing has a company store gift shop. ATM is available on the 4th floor. Church Landing (and all inns at Mill Falls) have a smoke-free policy. Church Landing offers special guestroom packages. Please click HERE for more info. 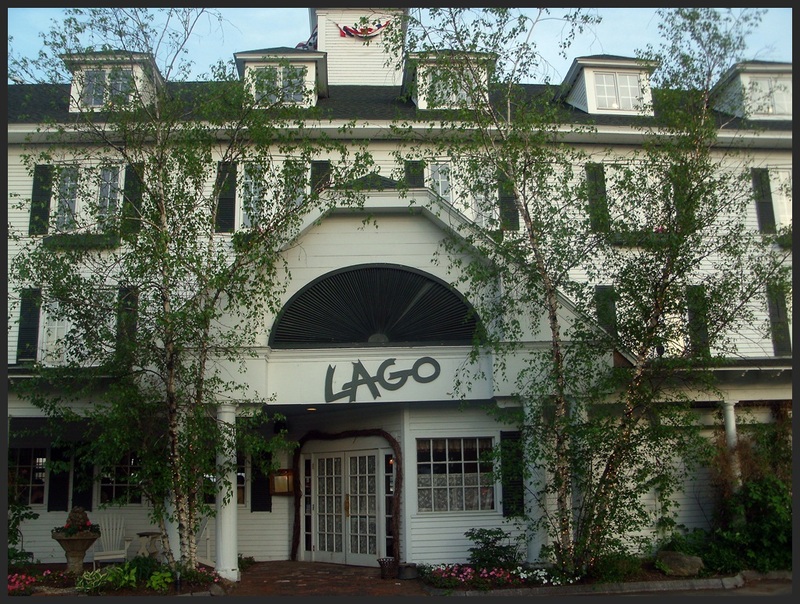 During my stay I had the privilege of dining at Lago, which is an old world Italian restaurant, on the water at Bay Point. Lago is a stunningly, beautiful restaurant! 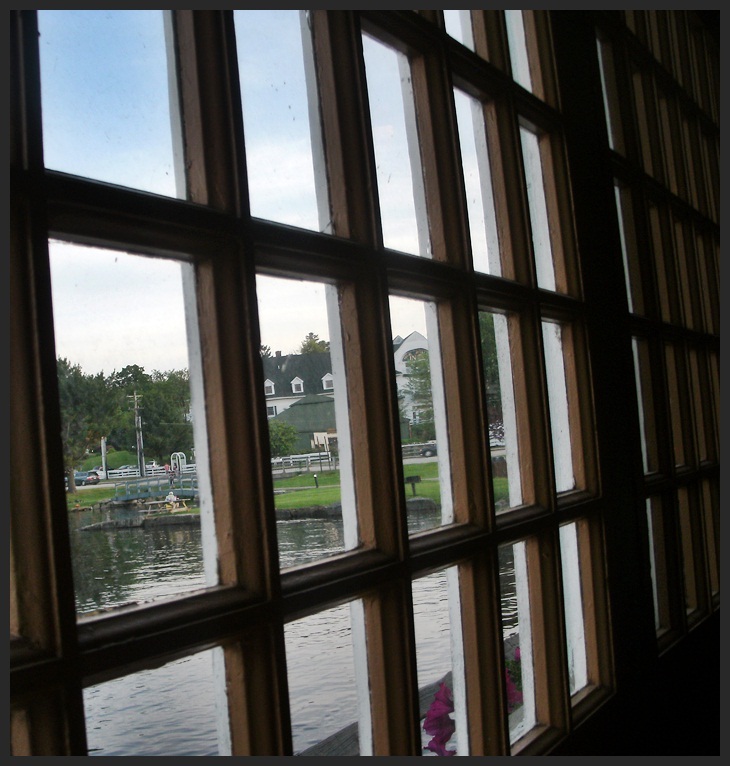 I was seated by a huge picture window that opens up on a cool/warm nights and overlooks Lake Winnipesaukee. The service was unsurpassed! Our hostess Stefany was so personable and treated us like old friends. Our waitress, Allie, was attentive, quick and had such a pleasant personality, but it was Matthew Branch, manager at Lago, that really won me over! What a sweet man! I was going through a personal tough time (breakup anyone? ouch…) and he was so understanding and kind. It is service like that which makes a restaurant truly stand out. Now, let’s talk about the fabulous food! The food was as great as the service. 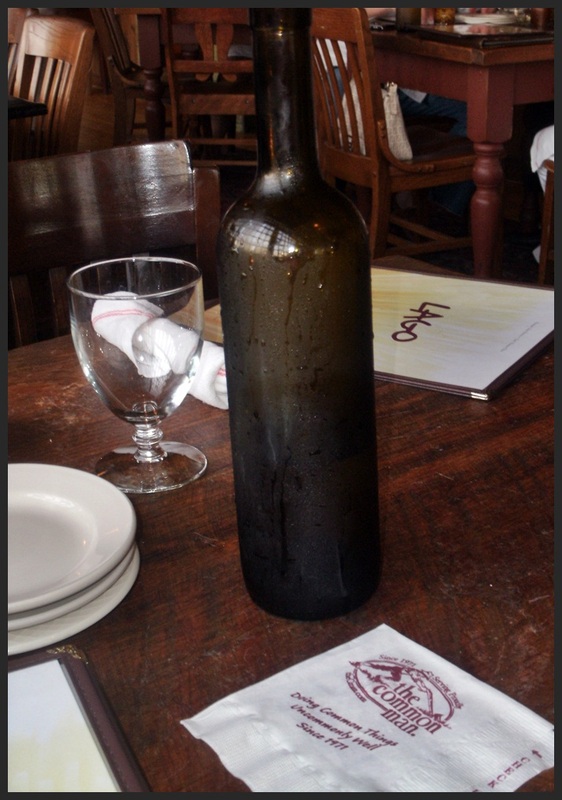 A nice touch was the glass bottle of ice cold water they left on the table so that you had it handy at all times. I soaked in the ambiance of the restaurant which consisted of dim, soothing lighting, beautiful paintings & light jazz music. 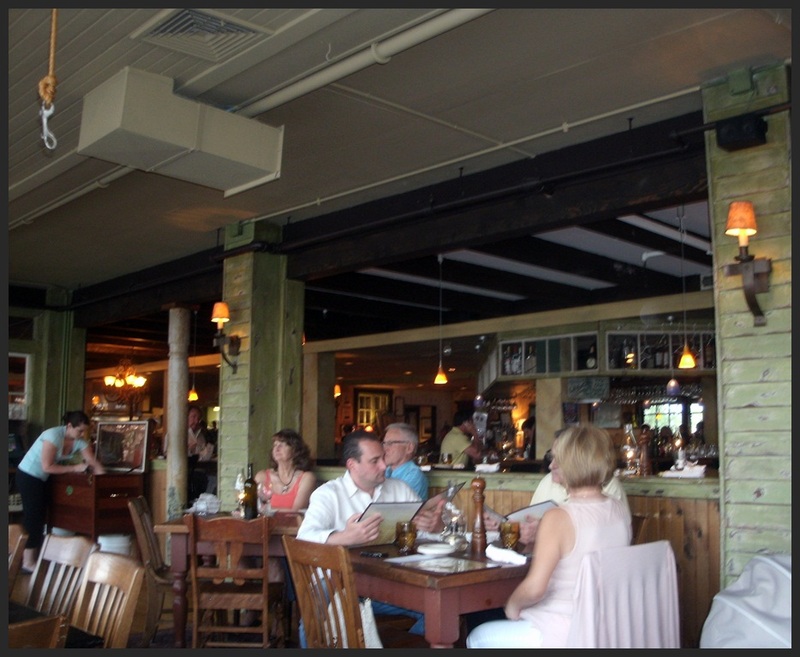 Think – romantic boathouse with candles and a rustic Italian cantina atmosphere. For an appetizer we ordered their flatbread pizza which was served with a sweet, chunky sauce flavored with basil, mozzarella cheese, provolone cheese, parsley & onions. 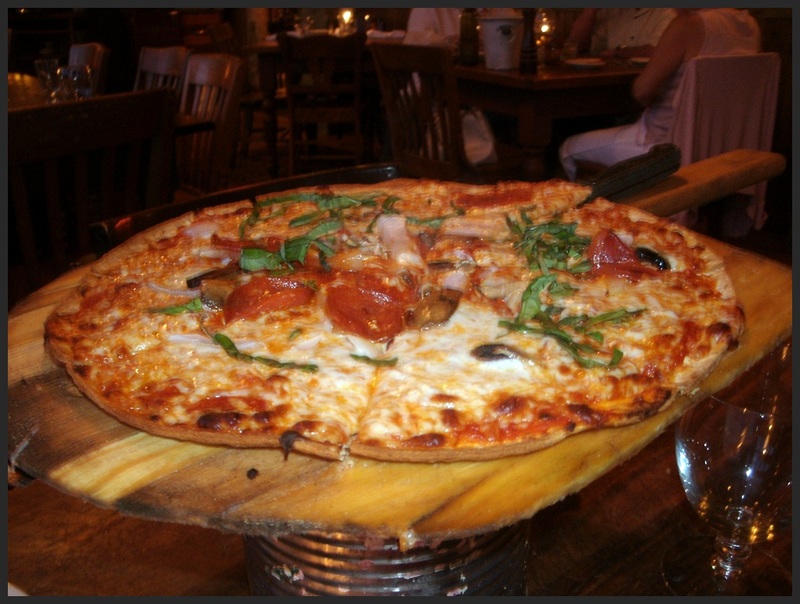 The pizza’s crust was airy, thin, loaded with flavor and simply delicious! The size was also very generous at 8 slices. For dinner I ordered the Pesto spaghetti which was served with a light pesto sauce, tomatoes, basil, oregano, provolone and huge pieces of chicken. 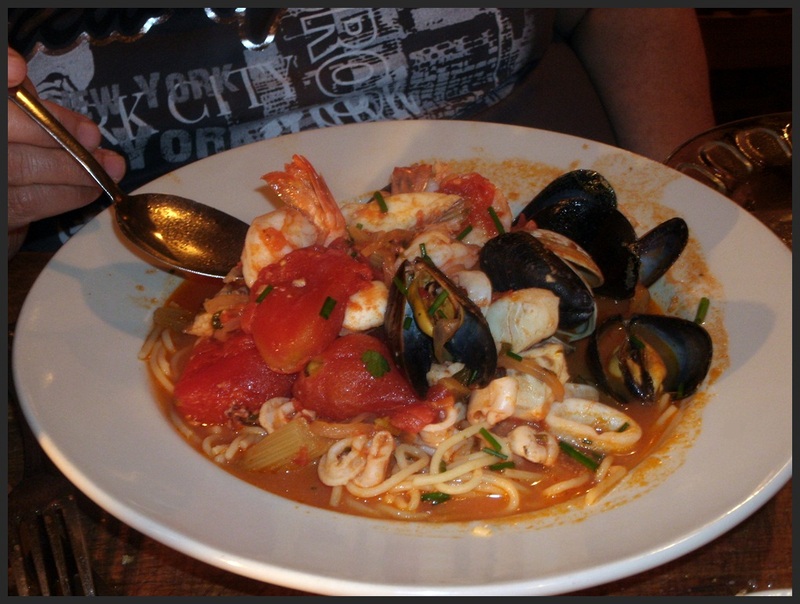 My dining companion (my mother) ordered the Frutti di Mare (seafood linguine) served with mussels, baked fish, shrimp and calamari. Overall the dining experience at Lago was a 10 out of 10. A must visit when in the area! 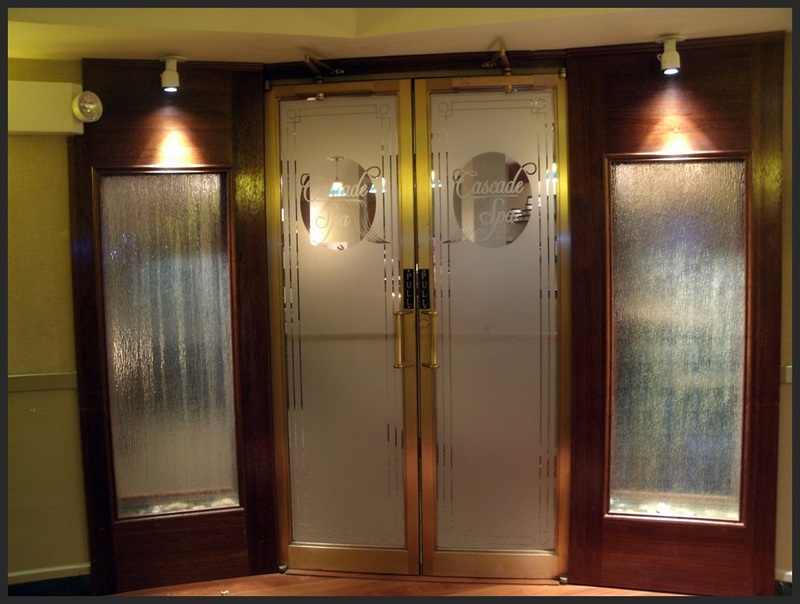 Gay & Lesbian Factor: I felt extremely comfortable and welcome at Church Landing and Lago. I am hereby “OUTING” Church Landing at Mill Falls as LGBT friendly and worthy of our business. 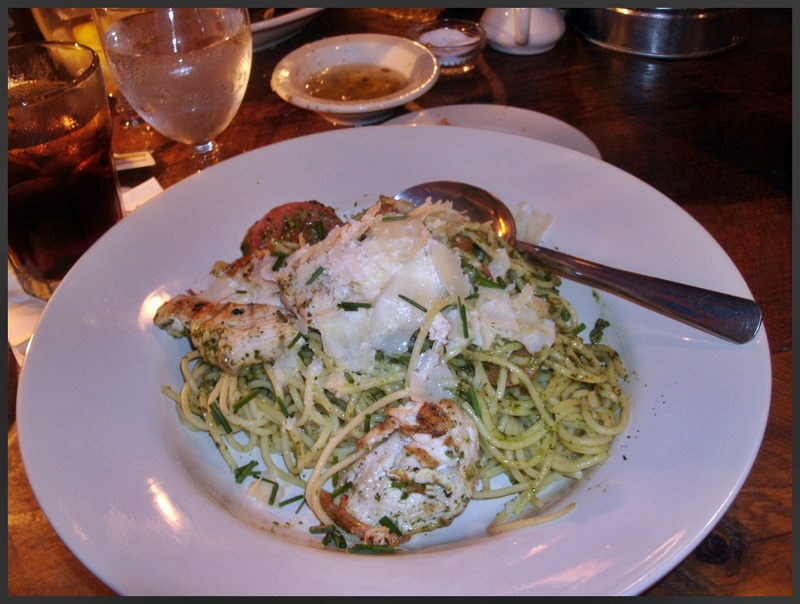 I am absolutely in love with Meredith, NH and the experience I had at Church Landing & Lago. So much so I have decided to head back up there for the 4th of July holiday. What better place to celebrate America, I thought? ← Gay Travel Information: The Common Man Inn – Plymouth, NH – Gay & Lesbian Friendly Getaway!